Once we knew that surgery was in Emma’s future, we started to prepare. Of course, we all did our own research, reading online about spinal fusions. 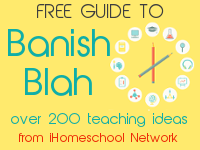 My husband watched YouTube videos; I read articles and looked at diagrams. 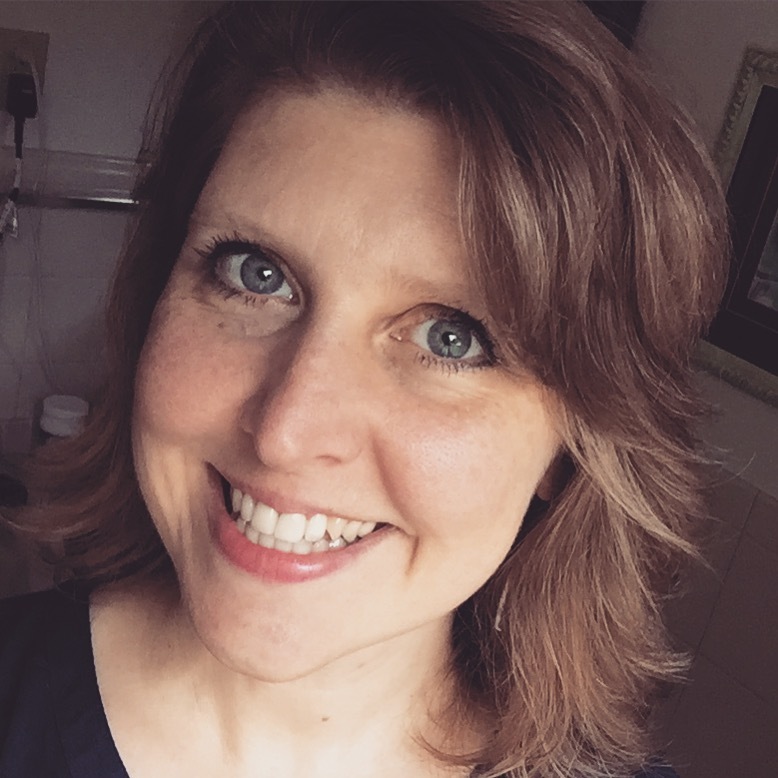 Emma found online diaries of other girls who had undergone the procedure. I didn’t sit Emma down and tell her more than the doctor did. I was there to answer any questions she had (or research answers), And I was there to listen as she shared what she had learned. It’s something of a fine line. I didn’t want to bring it up a lot, but I also didn’t want it to be a taboo subject. Basically I tried to follow Emma’s lead. When she wanted to talk about it, we did. There was not much for us to do to get Emma physically ready for surgery besides general well being — staying healthy and well rested. The only task she had was to donate her own blood. Her doctor asked for two units — one needed for sure and another as a precaution. 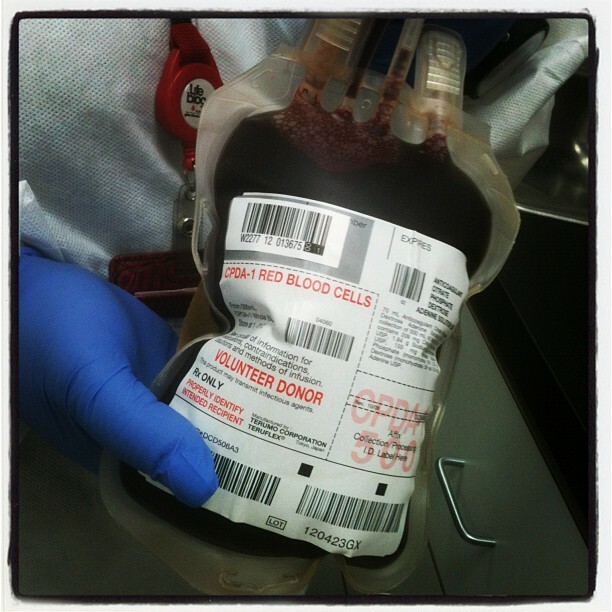 Because of our blood types, her dad was able to donate for her, but I was not. To make the event less scary, I decided that we would all donate blood together. We even invited my mom and some friends to come along. Having people around gave us all courage and made the scene less serious. My goal was to make the day a positive experience instead of a scary “medical” one. After we donated blood, we ate dinner out as a family and enjoyed the relief of having that task complete. It worked out beautifully that we were able to complete nine weeks of school before the surgery. It doesn’t really matter on one hand, but it made me feel good to know that we had accomplished a fourth of our school year before taking time for the recovery. I made no plans for when to resume school. And I still don’t have any because I want to give Emma plenty of room for recovery without the stress of schoolwork. 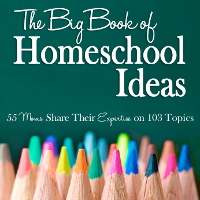 In future posts I will share how we eased back into homebound homeschool. But we are not at that point quite yet. The emotional aspect was really the toughest to prepare for because surgery is scary. Scary for Emma. Scary for us. We had family jokes about Emma’s back and her coming surgery. Emma does not want me to share those, though. So I won’t. Once we had a date for surgery, it was something we thought about every day. Emma even installed a countdown app on her iPod and kept me abreast of how many days until surgery. It was not a way that I would have chosen to deal with the anxiety, but I knew that I had to allow her to handle it in her own way. Instead of dreading the days, I knew we needed something happy to look forward to. Something big. So we splurged on a short road trip to St. Louis about two weeks before surgery. 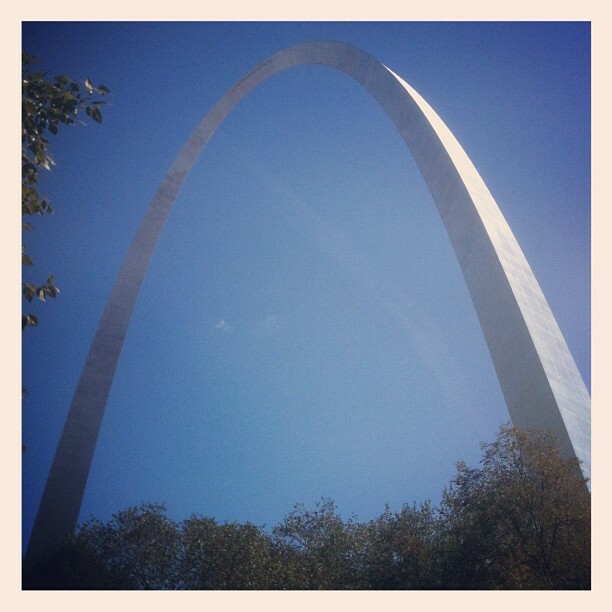 We stayed in a cabin at a campground, played miniature golf, spent a day at Six Flags, and toured the Arch. We laughed and acted silly. We unplugged — virtually no Internet except for a few uploads to Instagram. Instead we gazed at the fire outside our campsite cabin. For hours. Just feeding the fire under the stars and relaxing while Emma strummed on her ukulele. Most importantly, we forgot about the surgery that was coming up and enjoyed the moment. It was just what we needed. When we got home, we were emotionally ready to face the spinal fusion. How have you prepared for an upcoming surgery? I’d love to know your ideas. Just leave me a comment. Our experiences are a bit different so far. For the first two surgeries it was just my husband, my older children, and I preparing. Mason had his back surgery the day he was born, then a brain surgery at 1 week old. So we did the research, talked about what would happen, etc, but it was all with his older siblings who wanted to know what was happening. Since then he’s had 3 more brain surgeries but none were ‘planned’. His shunt that drains extra fluid from his brain to his abdomen failed/clogged when he was 7.5 months old and we were in surgery that day. Then just this month (9 months old) it failed again and he had surgery the same day we realized it was failing. That surgery didn’t work and he went back into surgery less than 48 hours later. Unfortunately this is likely to continue for years on end. Our preparations at this point are all on coping for the older 8 whose school is interrupted, and who wake up some mornings with mommy and little brother missing and at the hospital again. They worry and pray. They know what is going on, and why. They know the basic details of surgery. And they know it’s all going to work out just the way God plans. 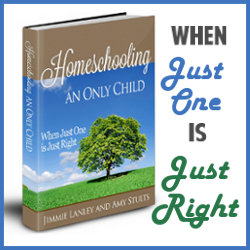 Homeschool goes on when it can, either Daddy or grandma keep it moving. Or we just take the time off and they play, trying to keep their stress managed. As Mason grows older he will be a big part of recognizing when he needs another surgery, so he’ll have responsibilities and will know the procedure, the doctor is familiar, and the place is too. Homeschool will come to the hospital when we want something to fill the hours, or be dropped for real life if we don’t. This sounds unbelievably stressful, Jimmie. Thank you (and Emma) for sharing it with us. Tristan – I can’t even imagine what you are going through. My thoughts are with you. We experienced similar feelings when our then 11-month-old son had to be anesthetized for extensive CT scans and multiple laser surgeries. He was born with a relatively uncommon type of birthmark, an angiokeratoma, that bled and scabbed repeatedly. In addition, the birthmark site was quite enlarged and there was the risk of additional lesions in his brain and spine. Thankfully he was too young to worry, but I’ll never forget the fear and stress that I experienced each time we made another trip to Children’s Hospital. Our preparation was primarily “mom preparation” as I tried to deal with the anxieties of letting my baby go ALONE when my heart ached to be with him. 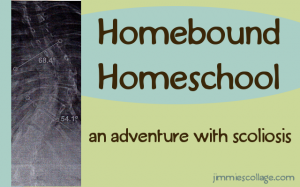 Because my son’s surgeries were done on an outpatient basis, the older children simply took a day off from homeschooling, and picked up again the next day. Jimmie, I am so grateful that you are sharing your family’s story. My six year old daughter has had medical problems for the last year and soon we will meet with a doctor to see if she needs surgery. I know we will experience a lot of anxiety if surgery is needed so I appreciate hearing how your family prepared for Emma’s surgery. At times like this I feel so blessed to have the freedom and flexibility that homeschooling provides. I completely understand about the use of humor in dealing with stressful situations. I’m sure if people heard the jokes we make about my daughter’s condition they would think we are disturbed! It was me that had surgery and preparing for it was something my husband and I did as our son was 5 soon to be 6 and didn’t understand except that Grandma would be coming to the house before mom’s surgery. Once we got the date, I called my mom to make sure that she would be available at that time (we had already discussed her coming over then). To prepare for it I taught more classes for my son working Saturday’s and Sunday’s before because I didn’t know how long after surgery I would be unable to teach him. I did the things I enjoy like singing at open mics again, because I didn’t know when I’d see them again. My son and I hugged a lot because I was pretty sure that hugs wouldn’t be a thing to share after my surgery and my son created ‘air hugs’ that he gave me then as a way of hugging without touching. I tried to not think about the surgery as much as I could, I tend to worry about stuff, and if I worried I was afraid I’d back out of the surgery so I tried to not think about it if I didn’t need to. Turns out that we were able to get back to school in about 2 weeks, slowly at first, and my performing took longer about 6 months. Our family absolutely uses humor to get through tough situations. It sounds like your family is really pulling together. Thank God for homeschooling and being able to work around things at your daughter’s pace. Oh wow, friend. I will be praying for you guys! Wow, Jimmie! I’m sorry to hear this, but I do know that God’s ways are divine and His healing is sovereign. May your family feel Him like you never have before! Hi Jimmie! Thank you for sharing how you prepared for Emma’s surgery. My eldest had surgery in kindergarten after falling off monkey bars (on Christmas Eve, no less). She needed pins in her elbow. There was really no time to prepare for that. Also, she has mild scoliosis. Right now, we’re just keeping an eye on it. At her last checkup, the curve had not altered in degree. Surgery has already been mentioned, so we’ll have to wait and see. She feels bad for Emma’s plight. She knows what surgery’s like! We are sending prayers for a quick recovery! It sounds like you handled it perfectly for your family. We’ve often used humor as a way of dealing with the diabetes. Sometimes a good laugh is just what you need, even in a relatively serious circumstance. My son has brain surgery in his near future and he is not coping with his recent diagnosis. (Chiari Malformation) He has not wanted to talk about it at all. He would say “I don’t want to face this, I don’t want to talk about it”. He recently got to a good place and is handling things much better. We decided to plan a vacation for after his surgery. This way he has something to look forward to. So now we have something happy to talk about. It seems to help him. That is a great strategy, Nicole. I hope that his surgery is successful. Hang in there!